The leading young-Earth creationist geologists (the Creation Geology Society) met in Georgia this summer, and they have released abstracts of the following thirteen talks. I was actually invited to attend this conference by one of the speakers, and wouldn’t mind going some time. Despite my strong belief that young-Earth creationism isn’t necessary Biblically and that “flood geology” doesn’t work, I would hope that our common bond in Christ would prove greater than our differences. Here’s a conference I’m not going to: Galileo Was Wrong: The Church Was Right — First Annual Catholic Conference on Geocentrism. Galileo and the Church: What Really Happened? There are a few Evangelicals promoting this sort of stuff as well. 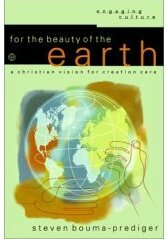 Some time around 2000, a major Christian home school catalog had a book promoting geocentrism on its cover; I wish I had saved that. Let it be the foolishness of the cross that drives people away from Christ if they so choose. We shouldn’t add our own foolishness. When Stephen Hawking writes a book, people pay attention. His latest volume, The Grand Design, coauthored by Leonard Mlodinow, has made a media splash because Hawking, who used “god language” in his earlier works, has come to the conclusion that there is no need for any sort of god to explain the origin of the universe. As far as I can tell, there is nothing new or groundbreaking in this book. Instead, it is a very readable explanation of how the laws of physics—especially quantum mechanics and general relativity, which is the theory of gravitation—can explain how we got here with no need for divine intervention. Basically, from the reviews I have read (I confess I have not read the book), Hawking argues that our universe, with its hundreds of billions of galaxies, is just one of a huge multitude of universes that have been spawned within the larger multiverse, which we cannot see. Each of these baby universes has its own laws of physics; ours just happens to be one that has laws that work well for forming heavier atoms, stars, planets, and life. Let’s say the basic outline of the author’s story is all true, that there is a larger multiverse that contains or creates baby universes. Think of the Wood between the Worlds in The Magician’s Nephew in C.S. Lewis’s Chronicles of Narnia series. Let’s even say that this multiverse really did create the universe we live in. This still doesn’t solve the basic questions that Hawking and Mlodinow are seeking to answer: Why is there something rather than nothing? Is God Necessary? 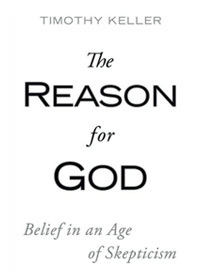 This goes back to the cosmological argument for the existence of God. Every effect has a cause. What caused the universe? If the answer is, “the multiverse” or “the laws of physics,” then all the authors have accomplished is to put the question back one step. What caused the multiverse to exist? Has it existed forever? If so, why and how? Did it cause itself to exist? The same questions need to be asked of the laws of physics, or perhaps of the deeper, underlying laws of the multiverse. What is the origin of these laws? To go back to the Chronicles of Narnia: Where did the “Deeper Magic from Before the Dawn of Time” come from? To propose that “God” is the answer to these questions is certainly at least as rational as to propose that the multiverse has existed forever or that it created itself. I would say that the “God option” is in reality the most rational answer, as the first option—the multiverse has existed forever—doesn’t answer the “Why is there something rather than nothing?” question, and the idea of a self-creating multiverse is inherently illogical. The Washington Post review of The Grand Design is here. A common misconception among skeptics is that Christians are narrow-minded and ignorant, and that skeptics and atheists are open-minded “free thinkers.” Perhaps these generalizations are true in some cases, but it was my pleasure Sunday morning to spend an hour with a group of fifteen Christians who certainly don’t fit the narrow-minded stereotype. Many skeptics I have met haven’t investigated both sides of these issues. They “know” that science has disproved Christianity, or that religion is the root of most evil in the world, or that the resurrection didn’t happen. So why bother to dig any deeper? Case closed, and mind closed too. On the other hand, many Christians, including those in this class I am teaching, have had to face the skepticism of the world towards Christianity. They have themselves asked the tough questions, and come through with their faith intact. Or perhaps for some, they are still asking the tough questions (that’s OK) and still seeking answers. In our discussion, I asked them to come up with a list of objections to Christianity, and they had no problems coming up with a rather comprehensive list. I also had them write down a list of evidences for the validity of Christianity, and they came up with a pretty good list there too. Too many free-thinking, open-minded skeptics are content with a “Christians are ignorant morons” approach, and wouldn’t be able to come up with a comprehensive list of the reasons to believe. I had a blast leading the discussion on Sunday, and I’m looking forward to going through the book with this group of people. My objectives are to build up the faith of the believers, and to equip them to give good answers to a world that has been misled into believing that there is something irrational about the Christian faith. 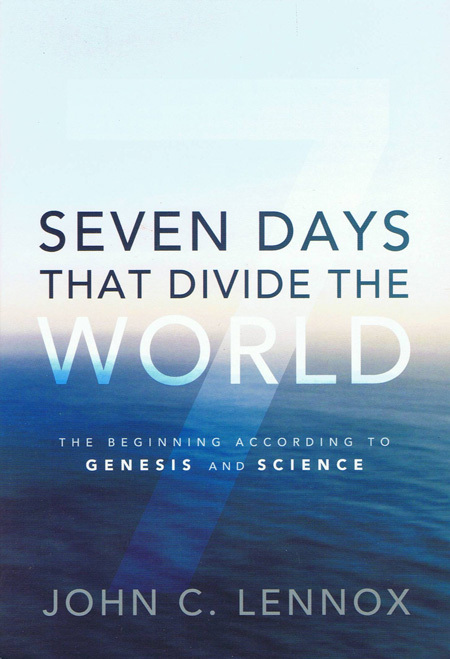 I recently paged through the Apologetics Study Bible for Students from the Southern Baptist B&H Publishing Group, and was pleased to see a balanced approach to the questions of the age of the Earth, the extent of the flood, and even somewhat on the role of biological evolution. The Hebrew word yom (day) does not always mean a literal day (e.g., Gn 2:4). Genesis 1:12 says the land produced vegetation on Day Three, indicating growth from seed to maturity. That takes longer than 24 hours. Many animals are specifically designed to prey upon other animals. This indicates that by God’s design, animal death preceded the fall of Adam and Eve. The usual meaning of yom is a literal 24-hour day. “Evening came, and then morning,” seems to indicate a literal day (Gn 1:5, etc.). The sun was not created until Day 4, but there was life on Day 3 (Gn 1:11-13). Life cannot exist for long periods without sunlight, and so the days were not long ages. If death is an enemy (1Co 15:54), was God’s original paradise free from killing, or was it filled with violence, decay, and death? Man was not permitted to eat animals until after the Flood (Gn 9:2-3). Despite these differences, Christians in both groups are committed to God’s supernatural creation of all things. Similarly, both are committed to the inspiration and authority of the Bible. Also, it is important to note that even if earth is many millions of years old, this still is not enough time for life to arise naturally and then evolve into the complex species we have today. Though Christians sometimes passionately disagree about the age of earth, we should not break fellowship about issues of peripheral importance (Rm 14:1). 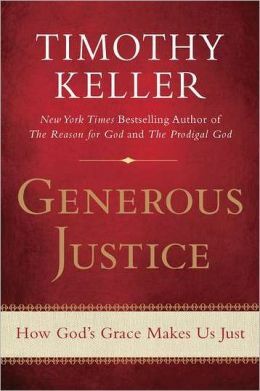 Both parties can work together, support common ground (such as Intelligent Design), and work “side by side for the faith of the gospel” (Php 1:27). We can have friendly “in-house” debates, graciously discussing our viewpoints in a spirit of love while standing united against the world’s deceitful philosophies (Col 2:8). I think the author could have made a stronger Biblical case for the possibility of an old Earth, but it wasn’t bad for a very brief introduction. Also, there are other old-Earth options than progressive creationism, but I suppose the author had to keep it to one page. The approach taken here is excellent for teaching the topic of origins to students. I believe that the typical if-the-Earth-isn’t-6000-years-old-the-Bible-ain’t-true approach of many in the church sets up our students for a fall. 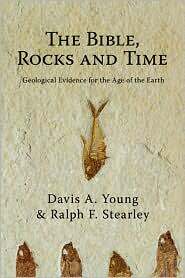 When they figure out that the young-Earth creationist interpretation has all sorts of problems, they often throw out their Christianity along with their young-Earth views. The Apologetics Study Bible for Students allows for the possibility of a local flood rather than a world-wide deluge. 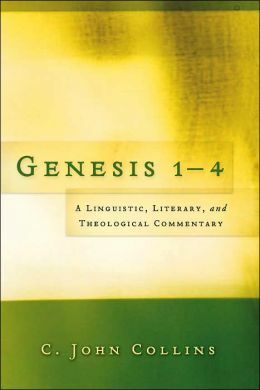 On the question of evolution, young-Earth creationism, old-Earth creationism, intelligent design, and theistic evolution are presented as four ways in which Christians have responded to the question of biological evolution. From what I saw, I would certainly recommend the Apologetics Study Bible for Students as a gift for a teenager or young adult you know. 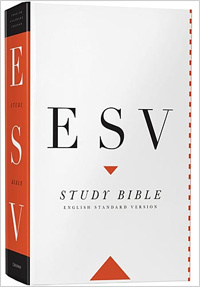 The Apologetics Study Bible for Students uses the Holman Christian Standard Bible translation.